Tax season is upon us, and if you are a small business owner, there is a good chance that you will need your Employer Identification Number (EIN) to file business taxes. For example, if you have an EIN for the first time this year, or are using a new CPA or service to file your business taxes, you will need to bring your EIN and other information to your accountant when you file your business taxes. There are also various other reasons you might need your EIN, such as to open a business bank account,Â open an online store, or apply for business financing. If you have misplaced your EIN, or aren’t sure if you even have one, you have come to the right place! Read on to learn what an EIN is, how you can find your EIN, and how you can apply for an EIN if you don’t already have one. An EIN (also sometimes called a “business tax ID number”) is a unique 9-digit number that identifies your company, similar to the way your social security number represents your personal identity. Specifically, your EIN identifies your business to the IRS. However, in addition to IRS-related filings such as business taxes, you might also need your EIN to apply for a business license, apply for a business loan, or open a business bank account. The IRS requires most, but not all business types to have an EIN. For example, most sole proprietors and LLCs with no employees are not required to have an EIN and can instead use their social security number as their taxpayer identification number. As the name indicates, employer ID numbers are required for companies that employ people; if you have employees, then you need an EIN. Even if you are not required to have an EIN, you may opt to get one in order to establish your business as its own entity, separate from your personal identity. For example, having an EIN can help you establish your business credit profile so you won’t have to use your personal credit for your business. If you have applied for and received an EIN in the past, then it shouldn’t be too difficult to find it. You’ll just have to do a little digging. Your EIN can be found on many of your important business documents, whether you have physical or virtual copies of these items. You should have the easiest time finding your EIN on your EIN confirmation letter from the IRS, and on your previous business tax returns. Okay, so let’s say you don’t have any copies of the above documents on-hand and you need your EIN, ASAP. Another option is to run your business credit report online and get your EIN that way. This is not free, but it’s a quick and easy way to get your EIN (or another company’s EIN), and it’s a good idea to check your business credit report from time to time anyway. The three major business credit scoring agencies are Dun & Bradstreet, Equifax, and Experian. Equifax and Experian are more appropriate for smaller, less-established companies, and Experian offers the cheapest business credit report at $39.95. Ask the IRS to search for your EIN by calling the Business & Specialty Tax Line atÂ 800-829-4933. The hours of operation are 7:00 a.m. – 7:00 p.m. local time, Monday through Friday. An assistor will ask you for identifying information and provide the number to you over the telephone, as long as you are a person who isÂ authorized to receive it.Â Examples of an authorized person include, but are not limited to, a sole proprietor, a partner in a partnership, a corporate officer, a trustee of a trust, or an executor of an estate. IRS hold times too long? Call someone else who might know your EIN. As a last resort, you could also try a paid EIN database, but I would only recommend this if you’ve exhausted all other options. And if you’ve gone through all the other options and still can’t find your EIN, well … are you sure you even have an EIN? If you’ve read all the way to the end of this post without finding your EIN, odds are that you probably don’t have one. Or, you may have discovered that although you have an EIN, you need to apply for a new one. This may be the case if your ownership or business structure has changed, or you are subject to a business bankruptcy proceeding. Fortunately, an EIN is actually pretty easy to apply for and obtain. As long as your company is located inside the United States or a U.S.-owned territory and you have a taxpayer ID number such as your SSN or ITIN (Individual Taxpayer Identification Number), you can apply for an EIN on the IRS’s website.Â The application is short and sweet, and you will receive an EIN immediately upon successful form completion and validation of your information. Note that while you will receive your EIN immediately online, it will take up to two weeks before your EIN becomes part of the IRS’s permanent records. You will have to wait until this happens before you can use your EIN to file an electronic tax return, make an electronic payment, or pass the IRS Taxpayer Identification Number matching program. The IRS’s online EIN assistant is secure, but if you’re not comfortable submitting sensitive info online, you can download a PDF of Form SS-4 (also from the IRS’s website) and apply via snail mail. For just about any business owner, an Employer Identification Number, or EIN, is a very useful thing to have. It’s useful for completing various legal tasks related to your business, such as filing taxes. You also need an EIN to build your business credit profile or apply for a business loan. If you already have an EIN and need it in a hurry, don’t panic; it shouldn’t be too difficult to find. If you need to apply for an EIN, either for the first timeÂ or because you need a new EIN, this is also a quick and easy process. Once you have an EIN or have rediscovered it after doing some digging, please keep track of it because it will likely only be a matter of time before you need to retrieve it again. The post How To Find Your Business EIN Number appeared first on Merchant Maverick. Understanding the nuances of the small business tax code has never been a walk in the park (especially when the tax laws are constantly changing), but when it comes to freelance taxes…? Let’s just say that those are a whole different ballgame. According to a 2015 study done by Xero, 73% of freelancers don’t deduct any expenses when filing their taxes. Considering how many people now rely on freelancing gigs as a primary source of income, that number is frankly shocking and prompts the question:Â Are you maximizing your tax deductions as a freelancer? If you are a freelancer, there are 10 very important tax deductions you need to know about. Gaining a basic understanding of how freelance taxes work and what you can and can’t deduct can save you a good chunk of change and spare you from trouble with the IRS down the line. Read on for several money-saving tips and to learn about the top 10 tax deductions available for freelancers. Freelancing is a form of self-employment in which a person offers their service for a fee (rather than relying on a traditional employment arrangement).Â A person is required by law to pay taxes to the US government if they receive a freelance income of $400Â (or a church employee income of over $108.82) in a given year. When you’re paid by a traditional employer, standard taxes on Medicaid and Social Security are automatically taken out of each paycheck. This isn’t the case for freelancers and independent contractors, who are instead required to pay self-employment taxes. The self-employment tax rate is 15.3% (12.4% for Social Security and 2.9% for Medicaid). In addition to self-employment taxes, freelancers are also required to pay income tax. If you are a freelancer, you will have to save a certain percentage of your income inÂ order to pay your taxes. Most financial professionals advise freelancers toÂ saveÂ around 25% (or even 30%) of their total income to cover these taxes. Freelancers may be required to pay taxes every quarter rather than annually (cue estimatedÂ quarterly taxes), depending on the size of their earnings. Most tax-payers are used to the April 15th deadline when filing taxes for the previous year. However, freelancers are often required toÂ pay estimated quarterly taxes. Instead of paying taxes once a year, some self-employed individuals will pay these estimated taxes four times a year. Note: These due dates are specifically for 2019 and willÂ vary slightly each year. So, how do you know if you need to pay estimatedÂ quarterly taxes? According to the IRS, individuals who expect to pay at least $1,000 in taxes for the year should file estimatedÂ quarterly taxes instead of waiting until April to file. The 1040-ES form can help you approximateÂ your total income for the year as well as your estimated tax payments. As always, we recommend consulting with an accountant or tax professional for tax advice — especially when it comes to freelance taxes. They will be able to assist you in officially determining whether you need to pay estimated quarterly taxes, and if so, how much. When you’re self-employed, it’s incredibly important to keep your finances organized. That’s where accounting software comes in. Most freelancers would probably rather be finding new clients, creating new marketing strategies, improving their brand and social media presence — basically doingÂ anything but accounting. But earning freelancer income is only half the battle. Managing that income and keeping track of your business earnings and expenses — that’s what sets you up for long-term success. Luckily, there are multiple accounting programs that are designed specifically for freelancers, like QuickBooks Self-Employed. QuickBooks Self-Employed helps freelancers keep track of their income and expenses, manage deductions, and calculate estimated quarterly taxes. It even includes a Turbo Tax plan so you can easily file your taxes. Read our full QuickBooks Self-Employed review to learn more. 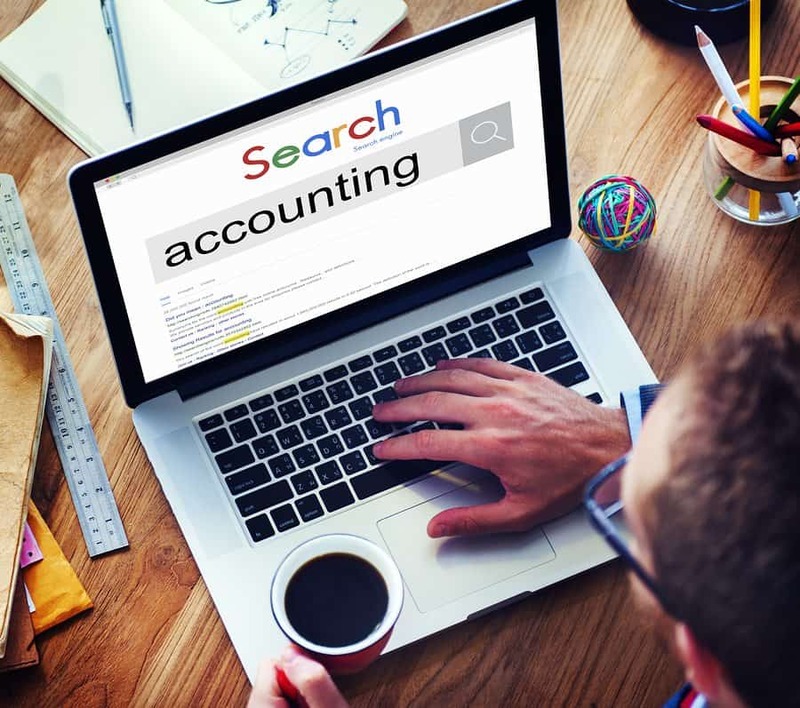 Whichever accounting software you choose, it’s important to record your income so you can set aside the proper amount for taxes, track your expenses so you can maximize deductions, and keep your finances organized in case you ever face an audit. The biggest tip I have for freelancers is to hire an accountant or tax professional. When you’re self-employed and trying to save as much money as you can, it seems counterintuitive to hire an accountant, but trust me — the expense will more than pay for itself. As a previous independent contractor, I’m speaking from experience here. When I started out as a 1099 contractor I knew a little bit about self-employment deductions. I saved 25% of each check, kept a careful record of my business-related mileage, and saved all of my business expense receipts. But without the help of an accountant, IÂ still would have missed out on over $3,000 worth of deductions I didn’t know about. Accountants and tax professionals can help you navigate the murky waters of freelance taxes and find you all sorts of savings. They know exactly what you can write off, which deductions you qualify for, and which deductions could put you on the radar for an audit. This expertise is priceless. Rember when we said that freelancers are required to pay a 15.3% self-employment tax? Since freelancers are self-employed, they serve as both the employee and the employer, resulting in the 15.3% tax rate. In a traditionalÂ job, half of that tax would be covered by the employer. This deduction allows you to deduct the employer-equivalent portion of your self-employment tax (approx. 50% – 57%). This deduction only affects your income tax. Contact an accountant or tax professional to see if you’re eligible for the self-employment tax deduction. Since freelancers have to provide their own health insurance, self-employed individuals can often deduct their health insurance premiums. The deduction cannot exceed your annual earned income. If you have a designated space in your home that is usedÂ exclusivelyÂ for your business, you may be eligible for the home office deduction. You can use the simplified method and claim $5 per square foot, or you can use the complex method and write off direct expenses related to your office, including furniture, maintenance, equipment, and a portion of your utilities. Contact your accountant to see if you are eligible and to determine the best way to claim your home office deduction. Do you use printer ink or buy stamps to run your business? There’s a deduction for that! Freelancers (and small businesses) can deduct office supplies so long as they are “ordinary and necessary” (which is the IRS’s rule of thumb for all deductions). Be sure to save all of your receipts so you can file your taxes properly at the end of the year. As a freelancer, you can deduct travel expenses so long as the travel is strictly business-related. Again, be sure to save your receipts, airline tickets confirmations, etc. If you’re self-employed, you can deduct business-related mileage. The 2018 mileage rate is 54.5 cents per mile, which adds up surprisingly quickly. Carefully log your start and end mileage, your starting point, your destination, and the purpose of the trip in a notebook (or using a tax software program like QuickBooks Self-Employed). You can also choose to deduct vehicle expenses instead of mileage. Talk to your accountant about which option is best for you. If you require specific hardware and software to run your business, these purchases can count as deductions. Talk to your accountant about the best way to deduct these expenses as some bigger purchase may need to be depreciated. Certain educational or certification expenses can also be deducted so long as they are directly related to your current line of work, not a new career. Keep track of your tuition and other education expenses throughout the year to claim this deduction. Since self-employed individuals are responsible forÂ their own retirement accounts, retirement contributions can also be deductible. Keep track of any contributions you make to your SEP or IRA plans throughout the year to take advantage of this deduction. Advertising and marketing expenses used to expand your business and bring in new customers can also be deducted. The new Tax Cuts and Jobs Act was one of the biggest changes to tax law in decades. While the IRS is still rolling out the full implications of these changes, one of the most important changes for freelancers is the new 20% qualified business income deduction, otherwise known as the pass-through credit. Certain types of businesses — like sole proprietors, S corporations, and partnerships — are eligible for an up to 20% deduction on taxable income. There is an incomeÂ limit for this deduction, so be sure to talk to an accountant or tax professional to see if you qualify. Now that you know about the top ten freelance tax deductions, it’s time to start saving! (Saving receipts, that is.) Make sure to carefully preserve all expense receipts and keep detailed financial records of anything you plan on deducting. This assists your accountant to maximize your deductions and helps prevent a tax audit. You can now rest easy knowing exactly what’s expected of you as a freelancer when it comes to filing taxes. You can also be confident about the best ways to save money on your freelance taxes so you can continue to do what you love — and get paid for it. As always, we recommend consulting an accountant or tax professional for the best tax advice. The post Top 10 Tax Deductions For Freelancers appeared first on Merchant Maverick. When you think of accounting software, you usually think of big names like Xero or QuickBooks. But what about the programs that are designedÂ specificallyÂ with the small business owner in mind? In this post, we’re going to put two of the top small business accounting software programs face to face: Zoho Books and Wave. Redesigned in 2014, Zoho Books is a scalable, full-featured accounting software that even gives QuickBooks Online a run for its money. The software has only improved over the years. It features beautiful invoicing, strong mobile apps, excellent customer support, and decent integrations. It also gives users the unique ability to send invoices in over 10 different languages. Wave is free accounting software that has only gotten better as time goes on. The software has grown to support over 3.5 million users and offers a robust feature set with unique additions like lending, scheduling recurring invoices by timezone, and a brand-new light ecommerce tool. The software also offers professional bookkeeping services and supports personal and business accounting. But which service comes out on top? And more importantly, which is right for your business? Both Zoho Books and Wave offer strongÂ accounting features. Each software uses double-entry accounting and offers both cash-basis and accrual accounting. Both support accounting reports, a customizable chart of accounts, journal entries, bank reconciliation, and fixed asset management. The two are almost neck and neck in this area, although Wave sets itself apart by having recently added an additional bookkeeping service called Wave+ where users can purchase additional accounting help from professional bookkeepers. Wave also has built-in personal accounting tools. Zoho Books and Wave have a lot of similar features. Both offer expense tracking, invoicing, contact management, and more. The difference is the depth and functionality of these features. While Wave has a strong feature set and unique additions like a lightweightÂ ecommerce tool and lending, Zoho Books’ features are far more advanced. Zoho Books offers some of the best invoicing on the market with 15 different templates and international invoicing. The software also offers project management (which Wave lacks entirely), better inventory, better time tracking, and better reporting, making it the clear winner here. Zoho Books offers three scalable pricing plans ranging from $9 – $29/month. Wave is completely free. The only additional costs are payroll, payment processing, and Wave+. When it comes to pricing, you can’t beat free. And unlike most free software, Wave doesn’t put artificial limits on features like invoicing and estimates. You get complete access to fully-functioning features for $0/month. Another point in favor of Wave is that the software actually offers payroll. The service may cost extra, but in contrast, Zoho Books doesn’t have any payroll support or payroll integrations. As cloud-based software, both Zoho Books and Wave work with nearly any device so long as you have an internet connection. Depending on your plan, Zoho Books supports between 1 and 10 users, although you can purchase additional users for an extra cost. The software offers very basic user permissions. Wave is designed for the small business owner, meaning there are no additional users. You can technically inviteÂ “collaborators” who can have “view-only” or “view & edit” access to your Wave account, but the features they are able to access are limited, making Zoho Books the winner here. Both Wave and Zoho Books are easy to use. They each have a modern UI that is well-organized, and setupÂ is quick. However, because of Zoho Books’ sheer number of features, the software is a bit harder to navigate and get used to. Wave, on the other hand, is easy enough for anyone to use, no matter what their accounting background (or lack thereof) looks like. It’s no question that Zoho Books is the winner here. Zoho Books has always been known for strong, fully-featured mobile apps. Their Android and iPhone apps receive high ratings across the board, and the company supports smartwatch, Microsoft, and Kindle apps as well. Wave’s mobile apps could stand improvement. Right now, there are two separate apps, one for invoices and one for receipts. Existing Wave users complain that they want one, full-featured app. Zoho Books offers the most excellent customer support by far. Zoho Books’ phone support has hardly any wait times, and in my experience, representatives are friendly and helpful. The company also has an expansive help center, email, live chat, videos, and more. While Wave does offer good resources like a well-developed help center and strong blog, you can only contact Wave support by email (unless you purchase payroll or credit card processing, in which case you get phone and chat support). Wave’s email response times often take over a day. Both Zoho Books and Wave receive mostly positive customer reviews from satisfied customers. They have a similar ratio of negative to positive reviews, resulting in a tie for this section. The few complaints Zoho Books users have are about the lack of payroll and limited integrations. Complaints about Wave revolve around poor mobile apps, limited integrations, and limited features. Both Zoho Books and Wave have many satisfied customers and high customer ratings. Zoho Books receives 4.5/5 stars on Capterra and 4.6/5 stars on G2Crowd, while Wave receives 4.4/5 stars on G2Crowd and 9/10 stars on TrustRadius. Zoho Books users appreciate the software’s ease of use, strong mobile apps, affordable price plans, and constant updates. Wave users praise the software for its ease of use, free price, personal accounting, and feature selection. Zoho Books offers 33Â integrations while Wave only has 3 integrations. However, both Zoho Books users and Wave users complain about a lack of integrations. Each software’s saving grace is that they both connect with Zapier, an integration that connects them to 1000+ other third-party apps. Both Zoho Books and Wave offer strong security. Each uses 256-bit SSL encryption, regular data backups, and 24/7 data monitoring. We gave Zoho Books the victory in this section because Zoho Books is far more forthcoming about their security information so users can be 100% confident that their data is protected. Wave is powerful software that puts up quite the fight, but it just doesn’t have the features and capabilities of Zoho Books — at least not yet. A more robust feature set, strong mobile apps, more integrations, forthright security, and excellent customer service give Zoho Books the advantage. Zoho Books is ideal for small to medium businesses in need of strong accounting that want the capabilities of QuickBooks Online without having to pay the price. Zoho Books is an affordable QBO alternative with a robust feature set and some of the best invoicing on the market, which is why we’ve named it the Best Accounting Software for Invoicing. Zoho Books’ invoicing features make it ideal for business in need of international invoicing. The only drawback is the lack of payroll, which could be a deal-breaker for some businesses. If your businessÂ doesÂ need payroll or if you’re looking for free accounting software, Wave might be the better choice for your business. Wave is ideal for small business owners looking for easy bookkeeping software to manage their businesses with. There’s a reason we’ve named it the Best Free Accounting Software. Wave has an impressive features set — particularly for a free app — and offers a few key additions that Zoho Books lacks(payroll, lending, and the brand new eCommerce checkouts tool). It also has a strong Etsy integration, making it ideal for Etsy sellers. Maybe after reading about Zoho Books and Wave, neither option seems like the perfect fit for your business. Don’t worry! Our comprehensive accounting reviews can help you find the best software for your business. If you need extra help deciding,Â read ourÂ Complete Guide To Choose Online Accounting Software. Check out our fullÂ Zoho BooksÂ and Wave reviews for more information. Take advantage of Zoho Books’ free trial or start a free account with Wave to get a feel for each software, and feel free to reach out with any questions you may have. The post Zoho Books VS Wave appeared first on Merchant Maverick. FreshBooks has been helping small business owners with their invoices and expenses since 2003. The software offers strong mobile apps, excellent customer service, and good customer reviews. A recent redesign has made the software easier to use than ever. Wave is completely free accounting software that has grown to support over 3 million users. The app offers strong accounting with ample features including project management, invoicing, and a basic ecommerce tool. Wave is also the only accounting software besides QuickBooks Online to offer lending services. At Merchant Maverick, our goal is to help you to find the best software for your small business needs. So to make your decision easier, weâve carefully researched and tested both products. Weâll put FreshBooks and Wave head to head by comparing features, pricing, customer experience, reputation, and more, so you donât have to. Read on to see which software is best for your business. This one’s easy. Wave wins by default becauseÂ FreshBooks is not accounting software. While FreshBooks does offer a few basic bookkeeping tools, it does not use double-entry accounting. It also has no bank reconciliation features, no accounts payable, and no customizable chart of accounts. The two programs are pretty on par in terms of invoice template choices, time tracking, importing/exporting, and multi-currency support. However, Wave’s features are more developed than those of FreshBooks. Wave offers 5 more reports than FreshBooks, better project management, and better inventory. Wave also offers key features that FreshBooks is missing like bank reconciliation, vendor management, accounts payable, and a brand new ecommerceÂ tool called Checkouts. You can’t beat free. Wave costs $0/month — no gimmicks, no tricks, no limitations. The only thing you have to pay for is adding payroll, payment processing, or bookkeeping help from a professional Wave advisor. FreshBooks costs $15/month – $50/month. FreshBooks is more expensive and offers fewer features, so businesses get a lot more bang for their buck with Wave. As cloud-based software, both FreshBooks and Wave are compatible with nearly any device so long as you have anÂ internet connection. FreshBooks is well-known for its strong, full-featured mobile apps. Wave, on the other hand, has separated its apps into Receipts by Wave and Invoices by Wave. Neither app is full-featured and many users complain that they want a single, all-encompassing Wave app instead. When it comes to customer support, FreshBooks can’t be beaten. FreshBooks offers great phone support with hardly any wait times. Representatives are generally friendly, helpful, and well-informed.Â In addition, FreshBooks offers a detailed help center, email support, and a comprehensive blog. Wave only offers phone support for payroll and payment processing users, leaving regular users a well-developed help center and email support. Most emails are responded to within a day, but it’s harder to get a quick response than with FreshBooks. Both FreshBooks and Wave are loved by customers. Each software receives mostly positive reviews, with a few negative complaints thrown in. For FreshBooks, users call for more features, better invoice templates, and true accounting. Wave users complain of limited mobile apps, lack of integrations, and occasionally slow servers. FreshBooks and Wave have a similar ration of positive to negative complaints. Most users seemed thrilled with both programs and each software receives high marks across popular review sites. FreshBooks users love that the software is easy to use, offers professional invoicing, and has great customer service. Wave users love the software’s features, ease of use, and, of course, its price. FreshBooks offers 70+ integrations as opposed to Wave’s four, so if add-ons are important to your business, FreshBooks is clearly the way to go. While FreshBooks reputation for ease of use is well-earned, the software doesn’t always live up to these high expectations. First of all, despite its advertising, FreshBooks isn’t true cloud accounting software. Wave, on the other hand, offers true accounting software and an incredible number of features for $0/month. In addition to the basicÂ tools you’d expect from an accounting software, features like lending and Checkouts set the software apart and allow Wave to give even QuickBooks Online a run for its money. For small businesses looking to save money, you can’t beat Wave. The software is also ideal for Etsy users and ecommerce businesses. That being said, businesses that don’t need the accounting capabilities or a large number of features may find FreshBooks to be a good choice. The software has better mobile apps and customer service than Wave. However, FreshBooks is far more expensive than Wave and your money only goes a short way with the software. The post FreshBooks VS Wave appeared first on Merchant Maverick.